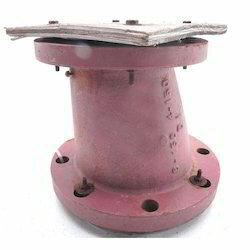 - Type;Straight, 90° elbow, 45° elbow, flange, end cap, equal tee, reducer straight, reducing tee etc. 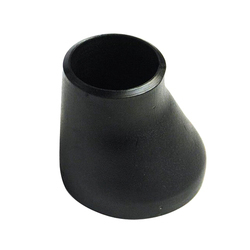 Our range of Eccentric Reducers is available in two different forms, one is concentric and another is eccentric types. Developed using quality steel and other alloys, the reducer finds usage in sugar mills & distilleries, pumps & petrochemicals cement & construction industries and steel plants. Stainless Steel: Standard: ASTM / ASME A/SA 403 GR WP "S" "W" " WX"
With the constant support of our dexterous team of professionals, we are fulfilling the varied requirements of our clients by offering optimum quality IBR Eccentric Reducer. We are offering our clients with concentric / eccentric reducers that are used in petrochemical, power, nuclear and electronic industries. Known for their close tolerances, these stainless steel concentric and eccentric reducers are designed with precise configurations. These reducers are ideal for critical applications that involve high pressure, impulse, vibration and temperature. We supply Concentric & Eccentric Reducers in Seamless Construction up to 24Inch & Welded Constructions up to 96Inch and Fabricated up to 104Inch. We Supply Tees in all Ferrous & Non-Ferrous Grades, especially Stainless Steel, Alloy Steel & Carbon Steel. Our Rolling Facility allow us to Roll Thickness up to 80mm.